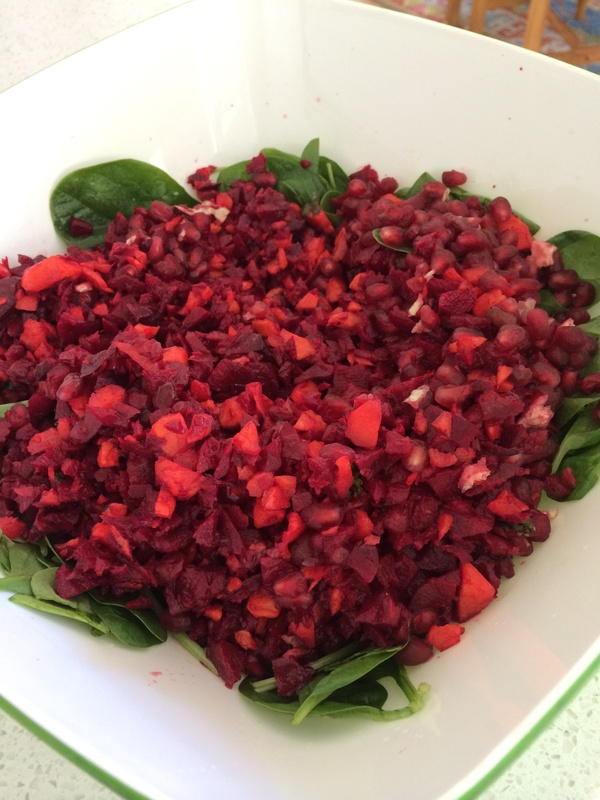 Two Beetroot, two carrots, two sprigs of coriander and 3TB apple cider vinegar chopped in thermomix 4 seconds speed 5. Spooned over bed of spinach leaves and topped with pomegranate seeds, salt and pepper and a squeeze of lemon. Lovely summer salad.